In December 2013 I was travelling in India and Dubai. 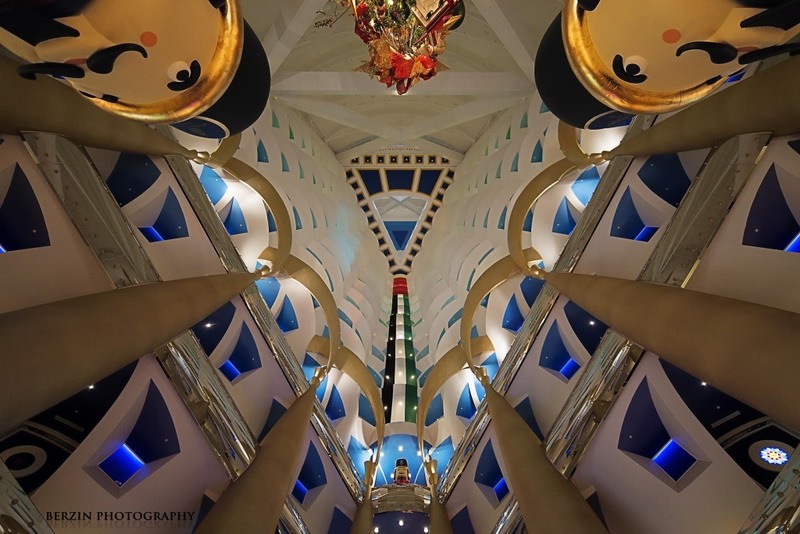 While in the UAE I stayed at the amazing Mina A’Salam resort- part of the Jumeirah complex (home to the Burj Al Arab). Aside from these hotels being stunningly beautiful to begin with, they were covered in Christmas decorations. 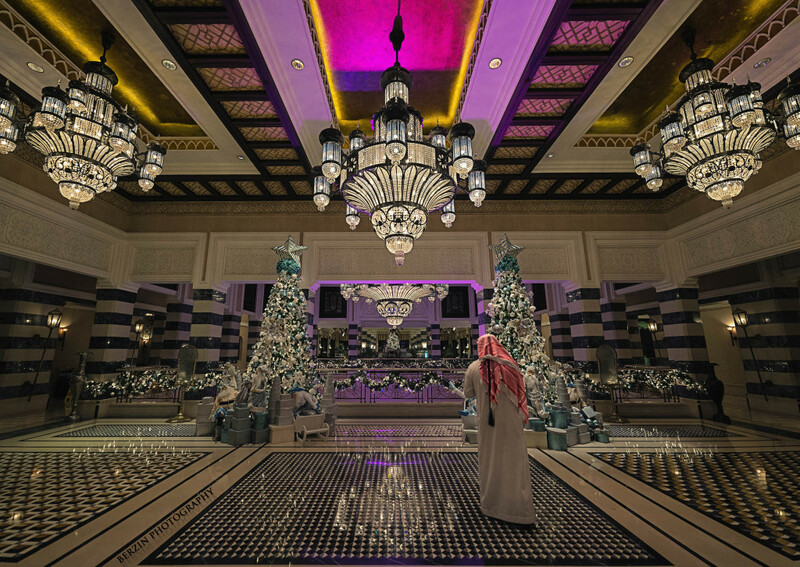 The above shot, my favorite, is the lobby of the Al Qsar hotel, sister hotel to the Mina. The entire lobby is encrusted in immaculately polished blue and white marble tile….really opulent looking even before you see the chandeliers. The local guy in the keffiyeh made for a great photograph! This photo is the lobby / atrium interior of the Burj, complete with 20 ft tall nutcrackers (you get just the heads in that shot). If you travel to Dubai, you can get into the Burj without staying there by going for a meal. While dinner is good, have tea at the Skyview Bar- its worth the money. 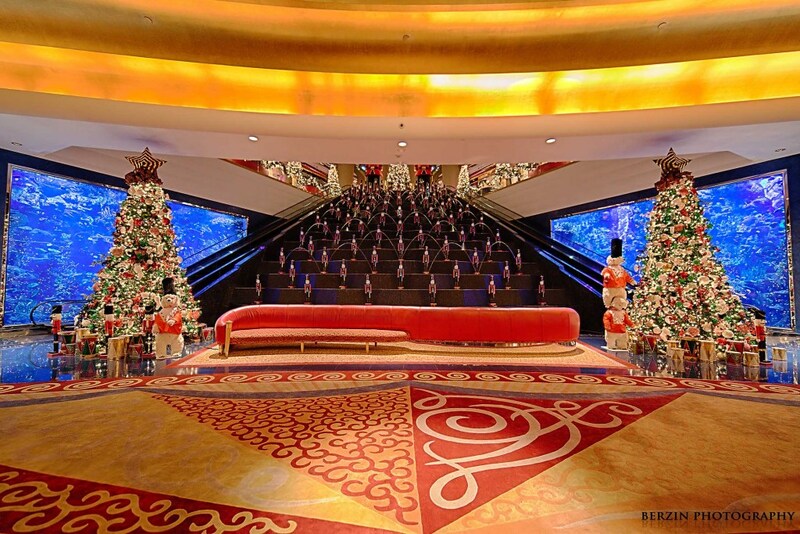 Below is the lower, entrance, lobby of the Burj, complete with huge fish tanks, lots of nutcrackers for Christmas (and dancing bears to keep the Russian guests entertained). The ground floor restaurant, Al Mahara, is a seafood place on the other side of the fish tanks. When dining there you eat next to the floor to ceiling tank walls; its like eating in the tank- very unique! Follow us on facebook for future posts! If you like one of the photos, check out our store, here.